• Share the ideals of the UN Charter. • Operate solely on a not-for-profit basis. • Have a demonstrated interest in United Nations issues and proven ability to reach large or specialized audiences, such as educators, media representatives, policy makers and the business community. • Have the commitment and means to conduct effective information programmes about UN activities by publishing newsletters, bulletins, pamphlets; organizing conferences, seminars and roundtables; and enlisting the cooperation of the media. In short, it is our responsibility to support the United Nations in its goals and to win support for those goals among the wider community we work with. In effect, WNBA members are to be ambassadors for the UN. Our organization disseminates information about the UN through all the means at our disposal, especially through our national and chapter publications and monthly programs. Furthermore, we agree to participate in activities for NGOs at the UN New York City headquarters, including regular briefings, workshops and the annual DPI/NGO conference. WNBA has consistently met these obligations over past years, thus maintaining its status as a “NGO in good standing.” The Association is current and up-to-date with all mandatory paperwork as required by DPI, notably the annual Accreditation Form and Activity Report. The 2010 filing was submitted on January 29, 2010, with designated Areas of Interest: Women. The Association is also committed to the achievement of the UN Millennium Development Goals (MDGs)by the year 2015. During the past five decades, WNBA has had five NGO representatives: Beatrice James, Helen Wessells Hettinger, Rose Eichelberger, Claire Friedland, and Sally Wecksler. In January 2001, Jill Tardiff (WNBA-NYC chapter) was appointed to the position of chief representative, and is currently serving in that role. In addition, Nancy Stewart (WNBA-Nashville) joined Ms. Tardiff as the Association’s alternate representative that same year, and continues to work with Ms. Tardiff, especially in activities that support WNBA’s informal partnership with the U.S. Fund for UNICEF. There is also the WNBA Committee for UN Relations that is comprised of members from the Association’s local chapters. Their individual and group role is to assist primarily with consensus building among chapter members, as well as with the dissemination of information received from the chief and alternate representatives, distribution of materials in support of related national and chapter activities, including fund-raising and partnership-building, and provide an annual accounting of said activities. The WNBA fosters individual member projects related to the mission of the UN and its various initiatives like the MDGs—for example “The Dream Project” created by former WNBA-L.A. president Kelly Sullivan Walden. 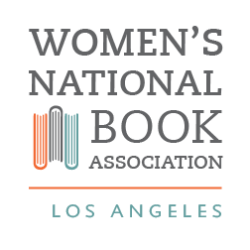 The Women’s National Book Association also has a special on-going partnership with the U.S. Fund for UNICEF. This partnership was conceived and developed in 2004 under the auspices of the U.S. Fund for UNICEF (NGO Section). The Association role ranges from emergency-relief donations (Indian Ocean Tsunami 2004; Myanmar Cyclone Disaster 2008; Haiti Earthquake 2010) to annual fund-raising (Trick-or-Treat for UNICEF), from UNICEF USA campaign-awareness (The UNICEF Tap Project, Believe in Zero—24,000) to literacy advocacy for women and girls (UNICEF’s Afghanistan Education Alliance).